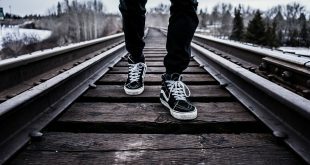 Tired of using static images as your Android wallpaper? The best thing about Android is that you can customize your device look and feel however you like. And one of those things that everyone like to customise – yes, the wallpaper. You can either set a regular image as a wallpaper or you can choose from live wallpapers (a moving image). But the thing is, there are not many good live wallpapers and even the good ones get pretty boring pretty quickly. Guess what, you can also set your own videos as wallpapers. In fact, the concept of setting videos as wallpapers is nothing new. It has been available on desktop computers for ages. 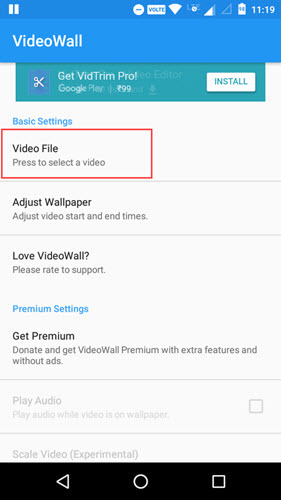 There are many apps that let you set videos as wallpapers but in this guide, I will show how to do it using two different apps. Each app has its own strengths and weaknesses. I want you to know a couple of things. First, when using video wallpapers your device battery will drain faster. Sometimes, even faster than when you are using a regular live wallpaper. The second thing is optional but it can be helpful if you can make sure that the videos you are trying to set as wallpapers are in MP4 or 3GP format. This ensures maximum compatibility with all devices and video wallpaper apps. Also, make sure that you’ve saved the video in the internal memory. 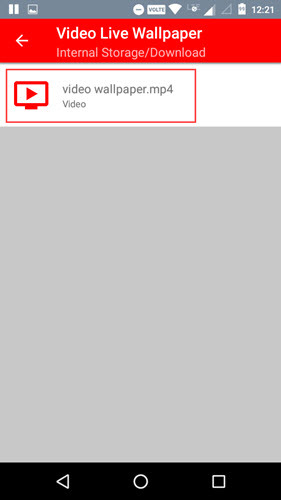 Sometimes, even when the video is an MP4, there’s still a chance it won’t be compatible with following video wallpaper app. If you face any such issue, head over this site and convert your video to the format “mp4” and target preset to “android“. It also helps your video is on portrait mode, but if it’s not, the following apps give you the option to crop and resize. 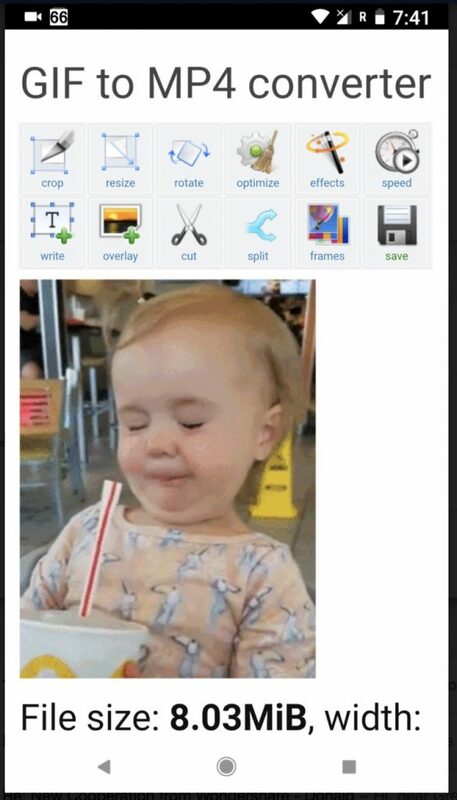 If you have cute GIF, then you want to set as your Android wallpaper, then you need to first convert it into in a video. There are many online sites that does that, simply Google “GIF to Video”. For sake of this article, I used this website and it worked fine. So, let’s try them and see which app fits your needs. VideoWall is a free and ad-supported app that lets you set any video of your choice as a wallpaper with just a few taps. 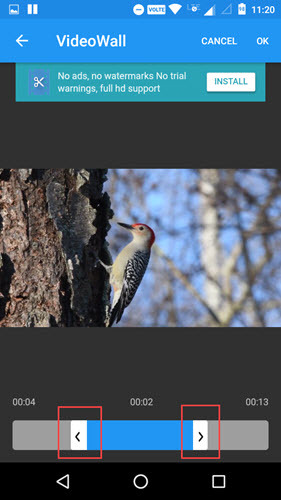 Using the free version you can set any video as your wallpaper while trimming the said video as and when needed. This trimming feature is particularly useful when you have a long video and only want to set a part of the said video. 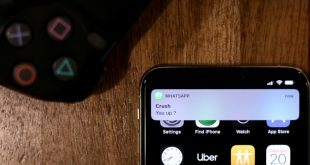 If you are willing to pay, you can unlock premium features like the ability to crop or scale the video while setting it as a wallpaper, the ability to play sound in the background, and remove ads with a $2 in-app purchase. Here’s how to use VideoWall to set videos as wallpapers in Android. The above action will show you a list all the video files on your device. Select the video file you would like to set as a wallpaper. If you are not sure what video you want to set your wallpaper, go to YouTube. You would probably find it there. 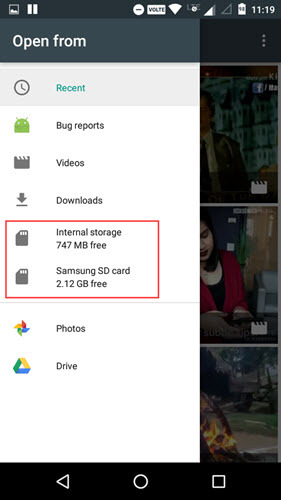 If you didn’t find the video you are looking for, slide from the left side of the screen, select Internal Storage or SD Card, navigate to the folder where you’ve stored the video file and select it. When you select the video file, you will be taken to the editing screen. Here, you can drag the starting and end sliders to trim the video as needed. For instance, I trimmed the video so that it starts playing at the four-second mark and ends at the thirteen-second mark. Once you are done trimming the video, tap on the “Ok” button to confirm the changes. That’s all there is to do. You’ve successfully done setting up a video as wallpaper on your Android device. Like I said, before you can make the app play audio in the background you must unlock the feature with an in-app purchase. While VideoWall restricts you from playing audio and scaling or cropping the video to fit your screen, Video Live Wallpaper does it for free. 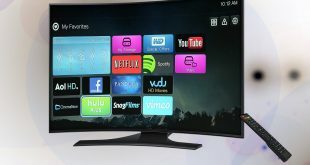 However, unlike the VideoWall app, the drawback of Video Live Wallpaper is that it has no capability to trim the video as and when needed. That being said, you can easily trim your video using any free online coverter or if you are using Windows 10, you can use the default Photos or Movies app. Other than that, using Video Live Wallpaper app is pretty simple and straightforward to use. 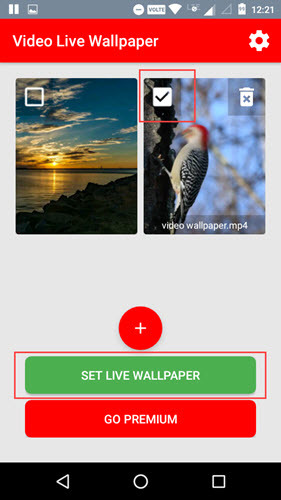 Moreover, unlike VideoWall app, this app stores all the videos that you set as a wallpaper so that you can easily switch between them when needed. Just like with VideoWall, download and install Video Live Wallpaper from Play Store. Once installed, launch the app from the menu. On the main screen, you can see that the app already provides you with a default video wallpaper and it is also selected by default. If you like that wallpaper, the set it by tapping on the “Set Live Wallpaper.” To add your own video, tap on the “+” icon. 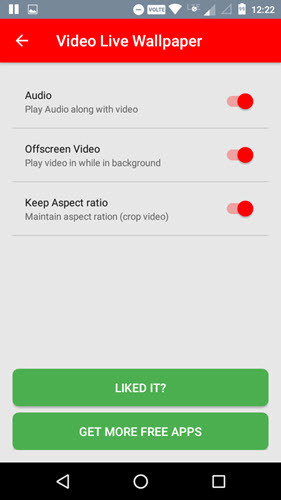 Unlike VideoWall, the app won’t list all the videos. Instead, you need to manually navigate to the folder where you’ve stored the video and then select it. Just make sure that the video you are trying to set as a wallpaper is stored in the Internal Memory, not in your external SD card. So, navigate the folder and select the video you would like to set as a wallpaper. Once you select the video, it will be added to the app’s main screen. The good thing about the app is that you can add multiple videos and select them all. 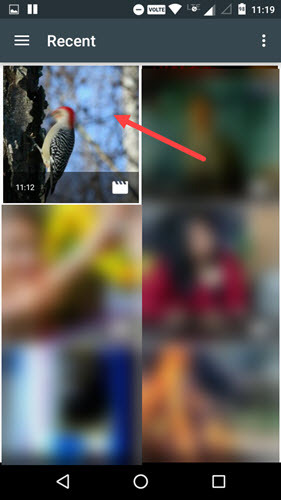 When you select multiple videos, the app will rotate them one by one. So, select the videos you want to apply as wallpaper and tap on the “Set Live Wallpaper” button. That’s all there is to do. The app will automatically scale the video to fit your Android device screen. If you want to, you can customize additional settings like background audio, aspect ratio, etc., from the Settings panel. Just tap on the “Settings” icon appearing in the upper right corner. That’s it for now. Comment below sharing your thoughts and experiences about using the above apps to set video as wallpaper in Android. Next Amazon Audible vs. Google Play Audiobooks: Which One to Choose?